Our kitchen reno is continuing at a steady pace. We're into week 6. It's crazy awesome! 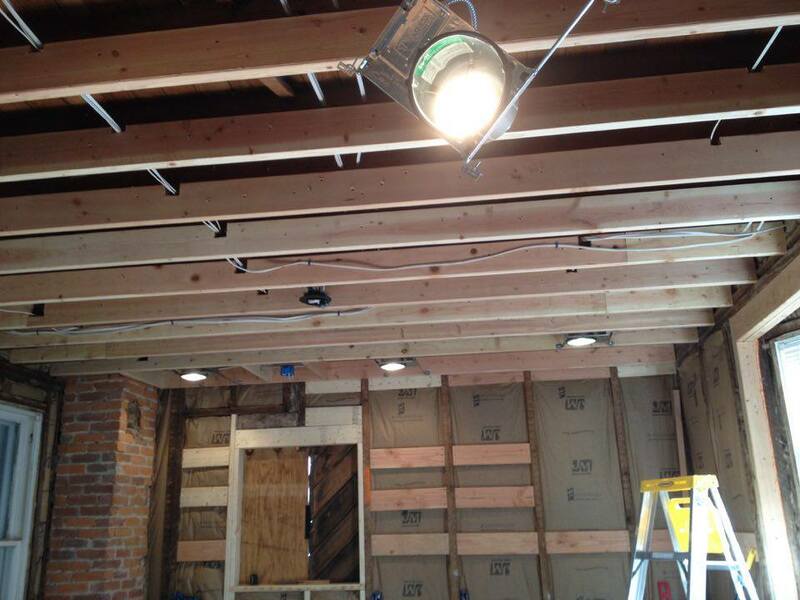 Two fridays ago we had all the insulation installed. 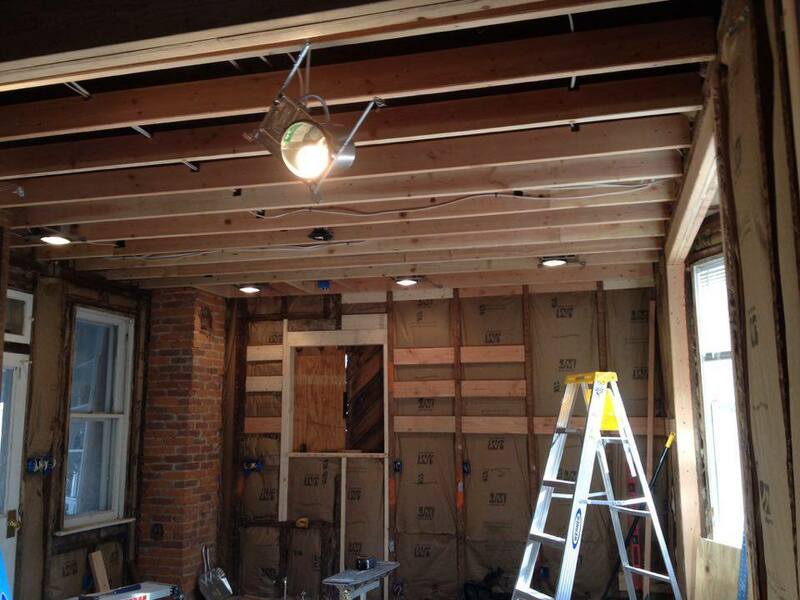 Then last friday, we had a new ceiling installed & our drywall was hung. Thanks to some helpful & handy dudes. It's beginning to really take shape. (Yay!) The next step is finishing that drywall & installing the new windows. Love the dedication of my sweet guy; spending countless hours making sure things are just right. He's really a jack of all trades & I'm beyond grateful for his skills. ;) JAM- you're the best! In the process of all this our baby is a growing like crazy! I'm currently at 26 weeks (and semi freaking out; like where is the time going) + it's been super sweet lately. I'm feeling the baby kick + move all around; and so has Adam. Thankfully, I've been able to workout consistently through this pregnancy & the other day in class we were doing crunches. As I would sit up on the ball the baby's booty or back would pop up, It was crazy to see & feel. I'm loving every little kick, even if it hurts like the dickens. but I know that there will be blessings that come from faithfulness. I believe in my heart God is going to bless us with a baby one day. it has brought our family closer and more connected then ever. [READ THE FULL POST HERE] I remember as I wrote that, I felt God calling me to share my heart; despite how vulnerable I felt. 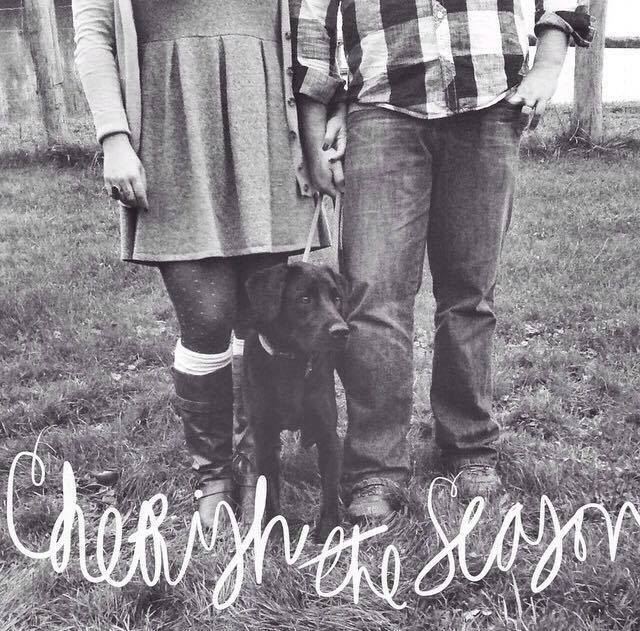 It encouraged me to cherish the season we were in & here we are on the other side of that. Life is not perfect, but God's faithfulness is. His timing is perfection. This is another example of God's faithfulness. My sweet girlfriend, Jess left this comment on my post. This brings tears to my eyes. She walked along side of us in this process & praise Jesus she's now MARRIED! <3 God is SO SO good!